Thank you Hunter S. Thompson for that magnificent quote. As I mentioned many moons ago, Kyle and I are craft beer nerds. Therefore, we are have a craft beer theme at our wedding. 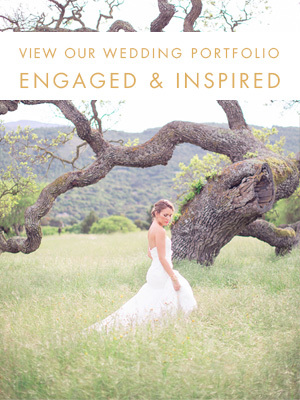 We just finalized much of the list with our caterer/bartender and a local market we love (go Mill Valley Market!) to make it all happen. In order to make things even more complicated for myself, for the last 6 months or so I've been on a mission to find a wine to serve for dinner that is not only local, but tastes great, has an awesome label design, and hits the $10-$15 per bottle range. It's exhausting to just think about it. But, one day when we were strolling through Whole Foods, we spotted a cool label and a $10.99 price. Perfect! We bought the wine, called Hey Mambo Sultry Red, and loved it. And there's a running joke in our household about Dean Martin's version of Mambo Italiano which just made it even more perfect... basically I love that song and go dancing around the house like an idiot whenever it comes on the Pandora playlist, and Kyle laughs at me. That's the joke. I did a little research and found out that the wine maker, The Other Guys, was just up the road in Sonoma and made a variety of different wines under a variety of labels. Seeing as we not only needed to find a red and white for our dinner tables, but 4 more wines for our bar (2 reds and 2 whites), this was very convenient. We emailed them to see where we could taste their wines and received a prompt response saying that they'd send us a few bottles to try. Awesome! Well, a couple of days later we received a gigantic box with 9 BOTTLES of wine in it, and a little note that said "Happy Engagement!" Are you kidding me?! Well, The Other Guys just shot to the top of our list for all of our wine. They embodied exactly what we love about the craft beer industry: cool guys who love what they make and just want to share it with everyone. What a breath of fresh air! So Kyle spent a day running around to a couple of local shops to buy a sampling of more of their wines, and soon enough we ended up with 17 bottles of The Other Guys' wine. Over the last few weeks we've been solidly drinking wine and sharing wine with friends and just 100% wine all the time. But we're really confident in the great selection of wine we've picked for our wedding - from MooBuzz to Plungerhead to Hey Mambo. They all are under $20, taste amazing, and have fantastic labels! And we have 42 out of 64 adults participating in the dinner beer pairing! We've got two fantastic beers selected for this: one for the salad, and one for the main course. I have to give a shout out to our awesome caterer, Katie Powers, for making all of our beer dreams come true. She's been 100% up to all of the obnoxious beer ideas we have. I think we found a fellow beer geek! So far we have 20 different types of beer selected for our Beer Bible. And I know once we pop into City Beer Store or Beer Revolution to pick up a few of the hard-to-find bottles the list will probably grow. But I am so excited to share some of our favorite California beers with our guests. We've got beers from Russian River, Stone, Green Flash, Lost Abbey, Port, The Bruery, and AleSmith. As you saw a while back, I was testing a variety of cocktails to serve as our signature drink. Truth be told, I REALLY wanted to feature the Terroir Gin made by St. George Spirits just across the bay in Alameda. The entire bottle has an epic vintage look to it, including the apropos image of a California brown bear and Mount Tamalpais (for anyone who isn't from the Bay Area, Mt. Tam is the amazing mountain that sits in Marin County overlooking the entire bay, and conveniently located right next to our little wedding venue). When I read that the distiller actually foraged for herbs from Mt. Tam to make this gin, I was pretty much determined to feature it at our wedding, despite it's different pine-y, earthy smells and tastes. When we went to Healdsburg for our 6 year anniversary, we popped into SpoonBar and I saw our signature cocktail: The Basil Gimlet. It was the most perfect use of this interesting gin. A couple of weeks later we had one of my bridesmaids and her husband over to do a taste test of 3 cocktails, and this was the winner. I can't wait to serve it at our wedding, and showcase an amazing local distillery! So there you have it! One of the gigantic and overwhelming tasks is complete and I feel fantastic about the California brewers, wine makers, and distillery that we are featuring at our wedding. How did you go about picking the wine, beer, and spirits for your wedding? Did you find any gems like we did?